With GNOME 3.7.90, we’ve entered the feature freeze and focus on polish and on whittling down the blocker list (don’t expect all of these to be fixed, the list currently still contains a mixture of actual blockers and nice-to-have things). But just before that, there was a mighty effort to get things landed. All that happened while I was travelling, so here is a somewhat late tour of new things that have appeared recently. 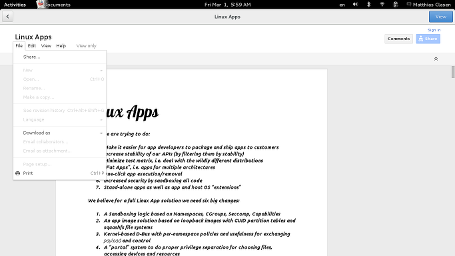 GNOME Documents has a new scrollbar with integrated preview, and lets you edit Google docs in place. 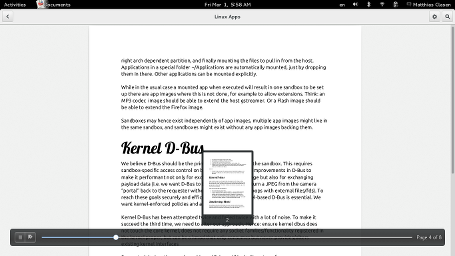 What you can’t see in these screenshots: it has also been turned from a clutter-gtk app into a pure GTK+ app. Among other things, this solves performance and accessibility problems. The control-center has kept up its pace of one new panel per release. Here we see the redesigned Region & Language panel. 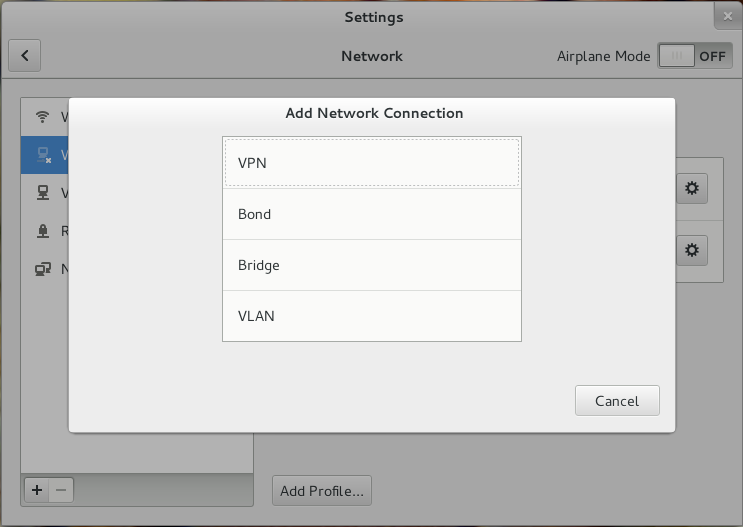 The network panel can now create multiple wired configurations (called profiles), and it lets you create things like bridges, bonds or vlans. 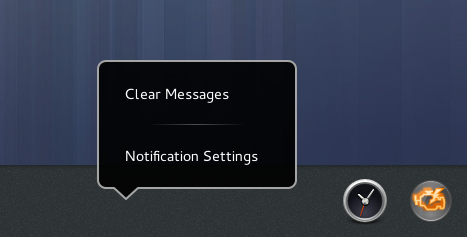 In GNOME shell, we have a new context menus on the desktop background and on the message tray. These can be opened both with a right click or a long press. The shell overview will now show your the most frequently used applications in a separate tab. 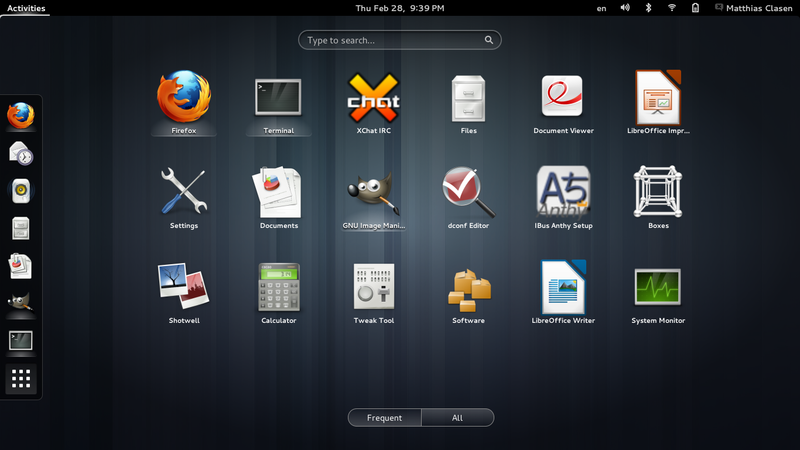 GNOME 3.8 will be released at the end of March. If you want to try it before, we have a live image. Previous PostThe fountain of knowledgeNext PostIs your GNOME shell extension ready for 3.8 ? Thanks to the gnome team for all that you do. Thanks for all your hard work. I don’t know how the policy of choosing which are blockers works, but I know there are a lot of bugs that “linger” and never get fixed, and eventually marked “obsolete”. How does that work? 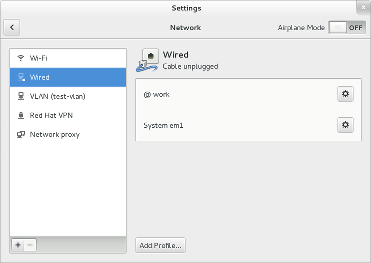 I think the first bug is fixed with GNOME 3.8 and systemd. And I see that 690147 was marked as fixed a few hours ago with GNOME 3.8. 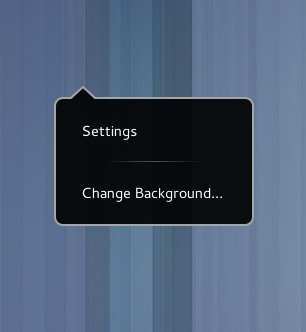 The live image don’t seems work under Gnome-Boxe 3.6.3. It won’t boot after the line “ISOLINUX 4.05 …”. You guys are doing a tremendous job. Agreed. Gnome is really shaping up well – and I’m very impressed with the directions it’s going. I’m equally impressed by the way the developers are keeping to the vision for this DE, and making some really big and really aggressive design decisions. Thank you for that. 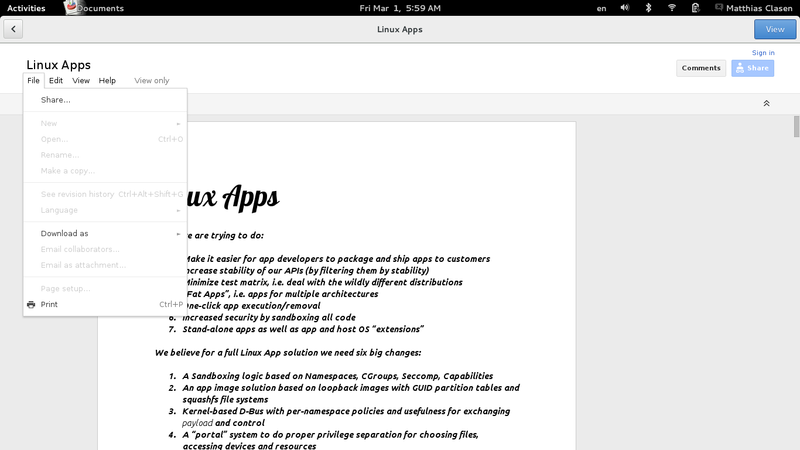 Now, that document about Linux apps in your Documents screenshot looks very interesting. Is it available publicly somewhere? Looks like awesome work, though! Which distro is expected to have 3.8 and when? I’m also interested in the document displayed on the screenshots. If it’s publicly available, let us know! Hello, excuse my silly question, but I can start with the live image. I tried creating a live usb tool both Unetbootin and fedora-usb (linux) and linux usb creator (from windows). When starting the live-usb, this starts without problems, but when this starts loading freezes. Hey, still no mobile broadband connection? How is that possible in 2013? Come on guys, implement the mobile connection too (3G,4G)! Mobile broadband shows up in the network panel if you have a mobile broadband device. Any chance you can share the Kernel D-Bus document in the first screenshot? What PDF-Document are you viewing in your sample screenshots. I’m not only interested in the content itself, but also curious about the fonts for text and heading?